The Chevy Camaro and the Ford Mustang have always been major rivals. They’re the cars that have always defined the pony car segment. Personally, I’m not a huge Mustang fan, but the Fox Body is undeniably awesome. 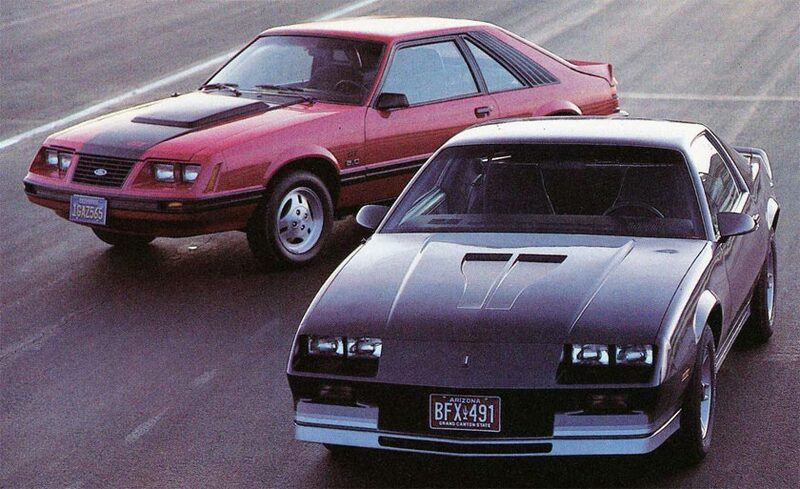 But, how does the Fox Body stack up to one of the most iconic Camaro models ever? Obviously, the price of these pony cars brand new doesn’t really matter in today’s age. However, the used price can be a huge factor on which one is better for you. For detailed information be sure to read our Fox Body Buying Guide. But to briefly cover the prices: the Fox Body costs around $4-5k for a decent condition example, and the IROC-Z is around $3-4k for a similar condition example. The money you save on purchasing an IROC-Z could can towards modifications to improve handling since it is a little lacking in both the Camaro and Mustang chassis. But the Fox Body is quickly rising in price, so from an investment perspective the Fox Body is better, but from a young car guy with little money, the IROC-Z may be the better choice. Although factory performance is really a nonfactor today, it is an important comparison point. Although many people thought muscle cars handled awful the fox body prove that to be wrong. 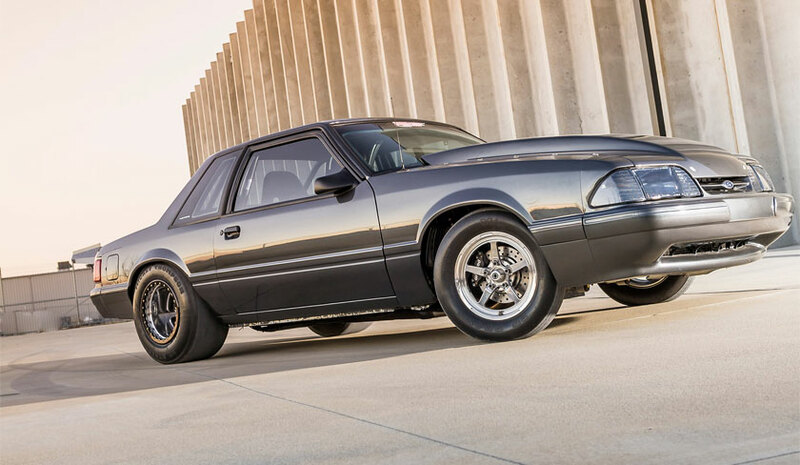 Fox body Mustang was one of the very first cars to pull over 1G on the skidpad as tested however it is not perfect. The Roxy gets a better braking setup with 4 wheel disc brakes and a panhard bar on the rear of Fox Body does not. Although the made similar power and torque, the Fox Body was still able to edge out in many performance tests thanks to its low weight. However, the IROC-Z redeems itself with a rear panhard bar which improved handling as well as a much better braking setup. Both will make a great autocross car, drag car, or street cruiser. The small block Chevy engine found under the hood of the IROC-Z is undoubtedly one of the most modified engines in the world, and it has been featured in hundreds of racing series. The small block Ford is also very popular amongst hot rodders, but it’s not as popular as the Chevy. Ford Racing makes some of the most popular small block Ford parts such as the “303” camshafts and the ever popular GT-40 cylinder heads. Although Chevy does have its own performance parts division, it doesn’t really seem to be very popular for small block Chevy parts. As far as total aftermarket (exterior, interior, engine, suspension, etc) the Fox Body is probably better. This is due to how popular the Fox Body chassis has become with young hot rodders who seem to stay away from the IROC-Z. 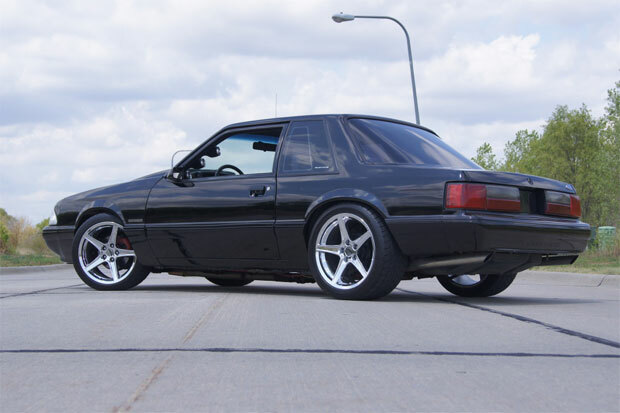 As mentioned above Ford also supplies some of the most popular parts for the Fox Body. We’ve covered the top modifications that the Fox Body chassis needs to be sure to check that out. This last section is very objective so don’t take it personal if you’re a die-hard Camaro or Mustang fan. Back in the ’80s and ’90s car styling was in an odd phase. Cars were going from massive for comfort to small for efficiency. They also were going from they boxy design to a more futuristic and curvy design. So all that together put both muscle cars in a very odd position. The result of this was odd styling for both vehicles. The Fox Body looks nothing like Mustangs of the past. Gone were the traditional tri-bar taillights in favor of long horizontal tail lamps. The front end was also nothing like the traditional Mustang styling. The fastback shared a similar shape to Mustangs of the past, as did the notchback. Most people seem to prefer the body of the notchback, however, I personally prefer the fastback. 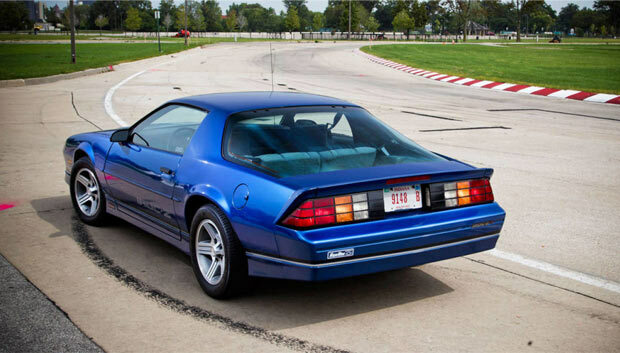 The Camaro definitely shares the same body lines and basic shape as Camaros before it, however, it definitely has the same ’80s styling as the Fox Body. Like the Fox Body, it also has long horizontal tail lamps and the same four-eyed headlights as the early Fox Body. The IROC-Z featured ever-popular ’80s body kit, which really completes the look of the IROC-Z in my opinion. So, in conclusion, the Fox Body is the lighter weight vehicle which ultimately makes it better stock vs stock, but the IROC’s advanced suspension and braking setup are better when the road gets twisty. The small block Chevy has a stronger aftermarket, but the Fox Body chassis as a whole is more popular with hot rodders. Both are pretty cheap to buy right now but the Fox Body is quickly becoming sought after and is an excellent investment opportunity.